Monday night’s result in Madrid. The La Liga new boys found life back in Spain’s elite tough losing 3-0 at Rayo Vallecano. Although they’ll be looking for a happier result this week, things won’t be any easier as they face a stylish and confident Real Sociedad. La Real hit the ground running in their first game getting the better of Getafe at the Anoeta and went on to cap an impressive performance, winning at Olympic Lyonnais with a couple of spectacular strikes on Tuesday in the Champions League qualifying round 1st leg. 2 goals in 2 games will no doubt encourage new signing Haris Seferovic, the Swiss striker who signed from Fiorentina in the summer and the manner of his goal and performance in Lyon marks him out as the man to watch. Villarreal face Real Valldolid looking to move onto 6 points in their home gmae. An opening day victory with 2 late goals at fellow promoted side Almeria got their season off to a good start. 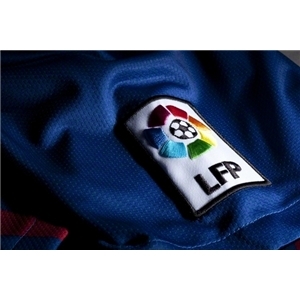 Manager Toral has brought in some new faces for their return to La Liga and in Dos Santos have the potential for goals. Valladolid on the other hand have retained the majority of their squad but will hope that in keeping the services of Patrick Elber, who got off the mark in last week’s defeat, they can follow up another respectable mid table league finish. Espanyol line up against Valencia hoping to build on an impressive come back against Celta last week. After a torrid start to last season the Barcelona club improved to finish comfortably mid table and with an impressive defensive record. In Garcia, Mubarak and the addition of Pizzi they may have the threat going forward to improve on last year. The sale of Soldado to Tottenham presents a problem to Valencia, namely how to recover the loss of a striker who provided 24 goals last season. However the whites are still well equipped and in Ever Banega and a fit Sergio Canales can cause problems for anyone. Previous articleTransfer Deadlines: Who’s Going Where?